Make sure you are using FreedomPop Free Voice and Text. Please open the Apple Store. Click the Search icon on the bottom. In The Search Bar Write FreedomPop. 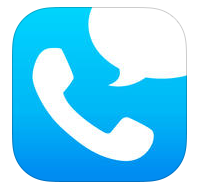 Make sure you are using the latest FreedomPop Free Voice and Text App, update or Download. While you are there, Make sure you are using the latest My Freedompop App, Update or Download. Make sure when making Calls and Text you are using FreedomPop Free Voice and Text. 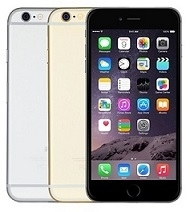 Resetting the network settings reconnects your Apple iPhone 6 to the Sprint/FreedomPop network and does not erase any of your content or data. 1) From the home screen, tap Settings. 3) Scroll to and tap Reset. 4) Tap Reset Network Settings. 5) Tap Reset Network Settings to confirm. 6) Your Apple iPhone 6 restarts. 7) Test your device to see if the issue is resolved. If Not move on to the next step. Note: You will need to reconnect to your local Wireless network after the reset. Here is some Great Tutorials & Guides you can use with your Iphone 6. This is a great way to get Familiar with the Phone. Open up your FreedomPop Free Voice and Text App. Press contacts at the bottom of the app and Look for the Little Sun Icon, outline(Gear Icon outline) top left of the app. Click that Icon,It will open a new page, with your number and account information. Because Freedompop use a VOIP App or Voice Over Data, The MDN can not be changed unless you switch to a new carrier. Freedompop needs 4g/3G/wiFi to make and receive calls and Text. I can not answer my iPhone when a call comes in. So when my iPhone is ringing, the freedom pop app pops up on the screen and I tap answer, nothing happens, the call is not answered, The pop up goes away and the app is on screen, The phone I am calling from to test the iPhone still rings in the ear piece but the iPhone does not ring. I've reset network settings, deleted the app and reinstalled and have done everything else support has told me to do with no luck. Any help on this issue is much appreciated. My iPhone 5 will only work on WiFi. No Voice, No text No data using freedomPop on Sprint LTE of G3. I have tried all the fixes mentioned above, and when I contact FreedomPop, I ge trandsered from one dept to another. Any ideas? I fixed my problem by cellular data not working for my iPhone , because I moved to Fido before a week. I found a online guide about the cellular data not working and it worked for me. Network reset solved my problem with data on my iPhone 6 plus. Thanks a lot!!! iPhone 6s, how do I delete FP text's ?